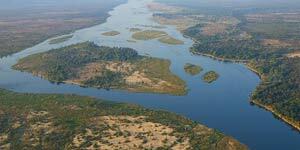 Road transfers from and to Kariba. All meals, drinks include mineral water, cordials, teas and coffees and wine with dinner. Use of camping and canoe equipment. Drinks not mentioned above. National Parks Fees and any personal expenses. **Taxes are excluded as they constantly change and are controlled by the govt and by ACSA. Taxes are the SAME FOR ALL TRAVEL COMPANIES and are currently approximately R3200.00 per person. A non-refundable deposit of 30% is required to confirm your booking. Full payment is due 6 weeks before departure. If the booking is made within 6 weeks of departure, full payment is required on confirmation of the booking. 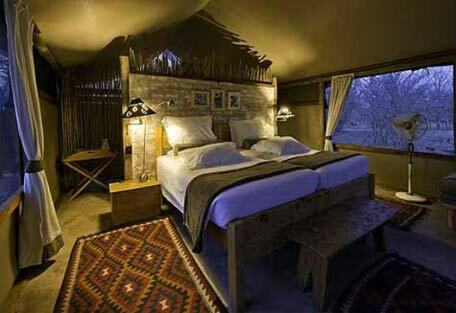 Natureways Safaris will no be responsible for costs incurred during money transfers, we require the full invoiced rate. Written notice is required if you wish to cancel your booking. 6 weeks prior to departure 30% cancellation fee applies. 4 to 6 weeks prior to departure, 50% cancellation fee applies. 3 to 4 weeks prior to departure, 75% cancellation fee applies. 3 weeks or less, 100% cancellation fee applies.A non-refundable deposit of 30% is required to confirm your booking. 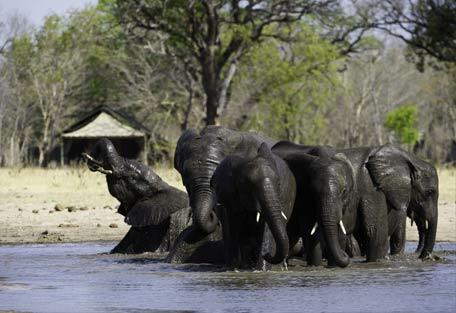 Private safaris can be arranged with a minimum of 4 people, please note private safaris must be requested. As a general rule we do not recommend children under 14 years of age on canoe safaris for safety reasons. No children under 14 years of age will be accepted with mixed groups. Children under 14 years of age are welcome if the trip is private or in conjunction with other families. 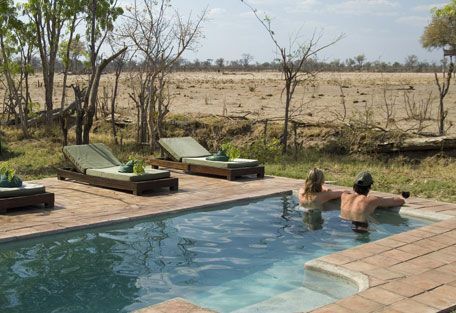 Please note that our Camp Zambezi Safari is our most family friendly and children of all ages are welcome. 0 to 5 years of age - One child is free of charge, second child 50% of adult rate. 6 to 13 years of age – 50% of adult rate. 14 years of age and above full adult rate. Natureways Safaris will collect you on the morning of your safari at 7:30am, in good time for a check-in at Natureways office, handing in extra luggage and valuables. PLEASE DO NOT TAKE YOUR PASSPORT ON THE RIVER. 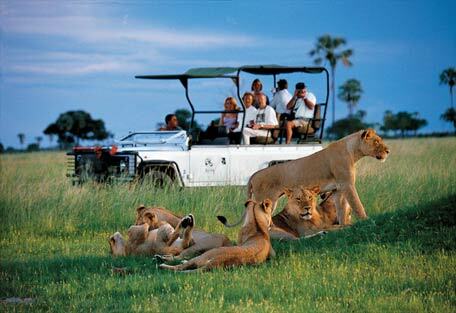 There will be a short briefing to summarise what the safari entails and questions may be asked. 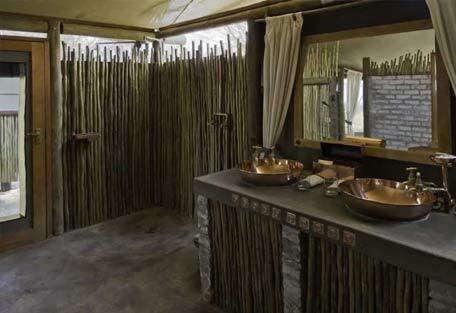 Guests will be required to sign an indemnity form before leaving on the safari. After the briefing, a visit to the shops will be made, purchasing any extra drinks wanted for the trip before setting off for the river. Please note that credit cards are not a recommended payment option in Zimbabwe. Transfers are by open 4x4 vehicles to Chirundu, arriving at approximately 11:30am, at which time the canoes and kit will be unloaded. Following this, a safety talk and demonstration of how to paddle a canoe will be given. A packed lunch will be taken on the river. At approximately 5pm camp is set up on an island named Kakomarara, there is time to relax and, after a brief safety talk on camping, have dinner. Up at sunrise for tea, coffee and biscuits before paddling for a couple of hours to the breakfast stop. Afterwards, canoeing will resume until midday and a well-earned lunch & siesta, time to catch up on reference books until mid afternoon (depending on the weather). Canoeing will continue until approximately 5pm when camp will be set up on Lone Acacia Island. The programme is as per day two. With the night's camp stop on Trichelia Island. This morning you will have a more leisurely start with the usual tea, coffee and biscuits. After breakfast, camp is broken. Setting off at approximately 8am, the group will arrive at Mana Pools at 10am where the canoes and equipment will be loaded on to the vehicle for the return trip to Kariba. Arrival time in Kariba is approximately 3pm. As you depart with your memories, we know that this experience will have enriched your life and touched your soul! would you like to receive specials via sms? Do you want to speed up your booking?